On Friday night, the Yankees beat the Red Sox 3-2. Kind of a blah game. Nothing-much happened. I really enjoy watching Adrian Gonzalez come to the plate. That guy's got the prettiest swing since Ken Griffey Jr.
Today's game will feature CC Sabathia vs John Lackey. The Oakland A's are going downhill fast. 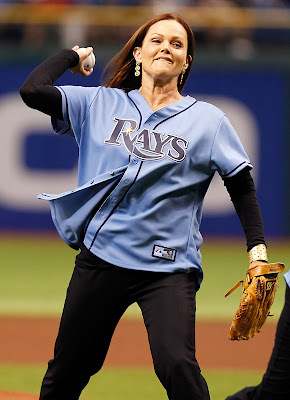 Tampa Bay beat Oakland 8-4. These guys can't win on the road. They just got swept by Seattle. The A's have lost 30 of their last 37 games away from home. They're batting an American League-worst .232 on the road. Coco Crisp and Hideki Matsui homered for the Athletics. Oakland sends Brandon McCarthy to the mound, today, against Rays' rookie Alex Cobb. McCarthy has been great. Since the All-Star break he is 3-0 with a 3.70 ERA. The Tigers beat the Royals 4-3 in extra innings. Brennan Boesch hit the game-winning RBI single in the 10th inning. Tonight's game is Must-See TV folks - Danny Duffy vs Cy Young candidate Justin Verlander. 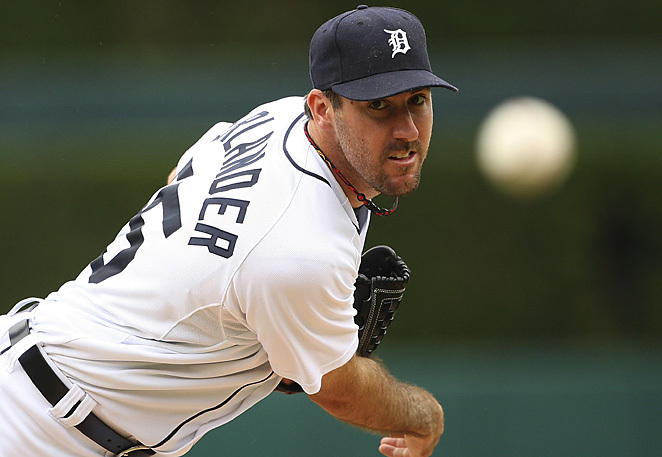 Verlander is 7 strikeouts shy of tying Denny McClain (1,150) for 9th place on the Tigers career list.